Revolver fans rejoice! It’s been a long time coming, but we’re finally ready to show you the results of our ballistics gelatin tests for .38 Special and .357 Magnum self-defense ammo. 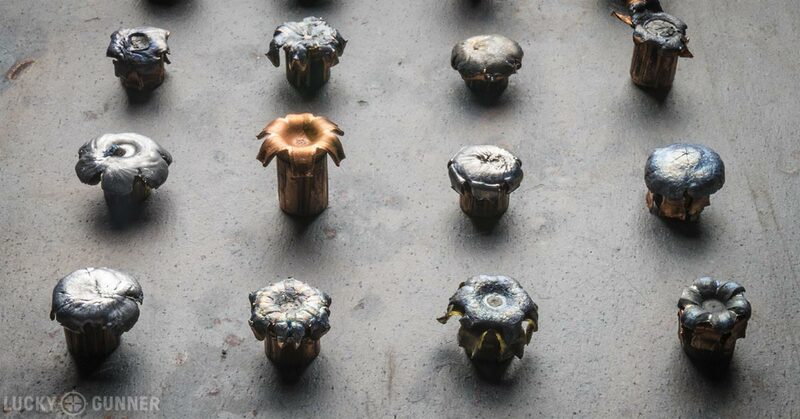 For this batch, we tested 38 loads total — 20 are .357 Magnum and 18 are .38 Special. 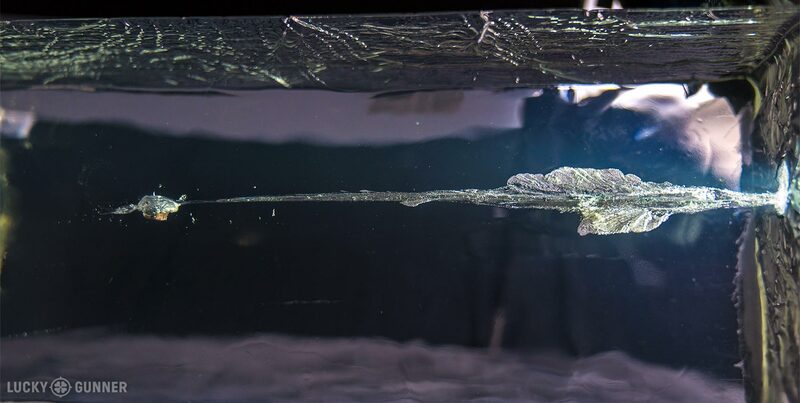 The post for our previous ballistic gelatin tests outlines all of the detailed specifics of our test protocol and explains both the value and limitations of gel testing. If you are unfamiliar with how these tests work, I highly recommend looking over that article before moving on to the results here. You will also be able to see the results of 146 semi-auto loads that we tested covering popular self-defense ammo in .380 ACP, 9mm, .40 S&W, and .45 ACP. Before we get into the test results, I want to thank everyone for all of the encouraging feedback and suggestions on our previous tests. The overwhelmingly positive response we’ve received from the online shooting community so far has made it possible for us to keep testing more defensive ammo. If you have found these tests helpful, I just ask that you consider shopping at LuckyGunner.com the next time you need some ammo, whether it’s self-defense loads for your revolver or another case of FMJ .223 or 9mm. We’ve got a huge selection and super fast shipping — any orders placed by 3PM EST on a weekday will ship out of our warehouse the same day. You’ll get your ammo in a hurry, and you’ll be supporting great projects like this one. We followed all of the same protocols for our .38/.357 tests that we used in our semi-auto tests. All shots were fired from a distance of 10 feet from the gel blocks. The front of each block was covered with a four-layer heavy fabric barrier (denim, fleece, and two layers of cotton) to simulate clothing. To accommodate loads that penetrated beyond the full 16 inches of the gel block’s length, we positioned a second block behind the first one, giving us a total of 32 inches to capture the fired bullets. We fired five rounds of each load into the gel block and measured the penetration depth of each bullet. The bullets were then recovered from the gel (that is, dug out with a big knife), so we could measure their expanded diameter. The velocity of each load was measured with a chronograph. There is one aspect of this batch of testing that is a little different from our previous tests. This time, we tested each load with two different barrel lengths: a 2-inch Kimber K6s and a 4.2-inch Ruger GP100 Match Champion. The velocity of .38 Special and .357 Magnum can be highly dependent on barrel length, so we wanted to test the two most common barrel lengths for defensive revolvers. For more on why we chose these specific test guns, read our post on how barrel length affects the velocity of revolver ammo. If you don’t have much prior experience with wheel guns, you might already have some questions about the relationship between .38 Special and .357 Magnum. For our purposes today, all you really need to know is that any revolver that’s chambered for .357 Magnum can also fire .38 Special ammo because .357 Magnum is basically a .38 Special that goes extra fast. Despite the names, both cartridges fire bullets with a .357-inch diameter. The .357 Mag cartridge case is ⅛” longer than the .38 Special’s in order to prevent the magnum rounds from being accidentally loaded into a revolver that’s only designed to fire the lower pressure .38 Special. 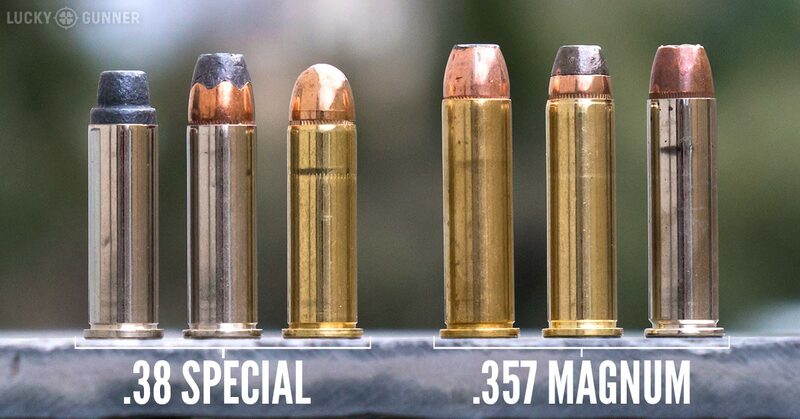 Loads that are designated as “.38 Special +P” have slightly higher pressure and velocity than a standard .38 Special load, but still far less than a .357 Magnum. With very few exceptions, current production .38 Special revolvers are easily able to withstand the pressure of +P ammo. One of our test loads is designated at +P+. It’s a high pressure .38 Special load that is still well below typical .357 Magnum levels, but exceeds the official threshold for .38 +P established by SAAMI. One aspect of these loads we aren’t able to quantify on a graph is the amount of felt recoil they deliver. There is a world of difference between a standard pressure .38 Special load and a high velocity .357 magnum. The degree to which that recoil affects the shooter is a combination of several factors. The weight of the gun is a big one, but other important considerations are the barrel length, the shape and material of the grips, the technique the shooter is using the grip the gun, the shooter’s hand size, upper body strength, and perhaps most importantly, their level of shooting skill and experience. I’ll be expanding on this topic in detail in a future post on Lucky Gunner Lounge. For now, when you’re looking over these test results, keep in mind that the loads with the best numbers might not necessarily be the best choice for your defensive revolver once the effects of recoil are taken into account. The interactive charts below provide a summary of our test results. Clicking on any of the column headers will sort the chart by the attribute in that column. The search box in the top left allows you to quickly find any specific load. The left-hand column displays the name of the load tested. Clicking on the name of the load will take you to a new page with additional photos, a high-speed video, and the complete test data for that load. The next column shows the length of the test barrel. As mentioned above, all of the 2-inch tests were conducted with the Kimber K6s and the 4-inch tests were done with the Ruger GP100 (which has an actual barrel length of 4.2 inches). The next column shows a graph representing the penetration depth of each bullet in order from least to greatest depth, followed by the 5-shot average depth. Clicking on the graph (or the photo icon if you’re using a mobile screen that’s too narrow to display the graph) will display actual photographs of the bullets in the gelatin block. According to the FBI’s research, bullets that penetrate between 12 and 18 inches in 10% ordnance gelatin correlate heavily with bullets that sufficiently penetrate soft tissue in real-world shootings. The synthetic Clear Ballistics gel we used typically yields results similar to the FBI’s organic-based ordnance gel when testing defensive handgun ammunition for penetration and expansion. Keep in mind that the 12″-18” range is only a guideline and not an absolute predictor for which loads will deliver acceptable real-world performance. I would not suggest discounting a specific load due solely to slight over or under-penetration in the Clear Ballistics medium, especially if that load also exhibited consistent expansion. The expansion column displays a photo of the fired bullets from each load along with their average expanded diameter. It’s important to look at both the average and the photo because, for example, a load that completely failed to expand for two out of the five rounds fired could still have a decent average diameter, despite sub-par overall performance. Unlike the penetration depth, there is not a widely accepted standard for expanded diameter, but one commonly used guideline is to look for an expanded diameter that is at least 150% of the original diameter. For both .38 Special and .357 Magnum, that is roughly .54 inches. For the purposes of self-defense, adequate penetration should be prioritized over expansion, but an ideal load will have both. The final column shows the average five-round muzzle velocity of each load. A quick look down this column makes it easy to see which loads varied the most between the two test barrels. The majority of the .38 Special loads showed consistent penetration depth into the ideal 12-18” range, though most were at the lower end of the range. Bullet expansion was not as encouraging. Out of the 18 loads we tested, 12 of them had at least one bullet become clogged with fabric and completely fail to expand. Five loads were unable to expand with any of the 10 rounds fired. The extra velocity of the 4-inch barrel improved the performance for a few loads compared to the 2-inch numbers, but in general, the poor performers yielded unimpressive results regardless of barrel length. Overall, the performance of the .38 Special loads we tested falls somewhere between the typical .380 ACP and 9mm results from our previous tests. As expected, the .357 Magnum loads performed, on average, much better than .38 Special. Only 4 of the 20 loads tested had any bullets that failed to expand. Under-penetration was almost non-existent, but several loads exhibited severe over-penetration. Many of the loads that showed overall good performance on paper also delivered harsh recoil that would likely compromise controllability for most shooters, particularly with smaller framed guns. I personally found that the loads in the 125-135 grain range traveling at around 1100-1200 feet per second were the easiest to manage recoil-wise. Some of the loads that exhibited borderline performance through the 2-inch barrel showed better numbers when pushed to slightly higher velocities with the 4-inch barrel. This seems to support the conventional wisdom that magnum ammo tends to underperform when fired from short barrels. However, in at least a couple of cases, the reverse was true — the extra velocity from the 4-inch barrel lead to slight over penetration and less expansion than the same load fired from the 2-inch barrel. As with our previous gelatin tests, I’ve refrained from offering any specific recommendations here. I have tried to limit my commentary to simple observations of the raw data. If you would like to know which self-defense loads I would suggest after conducting these tests, I’ve got a post over on the Lounge with some of my thoughts. Of course, don’t forget that gel test results should be just one factor to consider when choosing your defensive ammo, and ammo selection is a very small part of a comprehensive strategy for personal protection. That said, I hope that the test results provided here will help you make better-informed choices with your life-saving equipment.